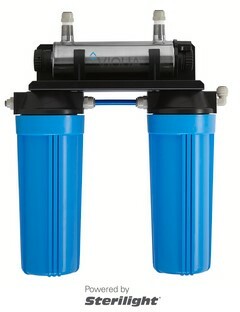 GBTP-UV13 is an in-line purifying solution for a safe and better-tasting drinking water suited for individual tap connected to existing water installations. The solution purifies transparent water and eliminates contaminations as particles, amoebas, parasites, viruses, bacteria and chlorine resistant bacteria, without using any harmful chemicals during the process. With this solution, you are provided safe drinking water without unpleasant color, taste or smell. The unit is equipped with an alarm notifying when to change filters or UV lamp. Our products are tested and certified according to Swedish and EU standards and we follow strict regulations placed upon processes used for human consumption.